Two years ago, we set out to change government. We gave ourselves 400 working days to transform 25 major public services, building digital “exemplars” so good that people would prefer to use them. Those 400 days are up. Here's how we did. Of the 25 services, 20 are publicly accessible. Fifteen of those are fully live and the rest are in beta – safe to use, but we're still tweaking the user journey. This is a huge achievement and we've done it by putting user needs first. These transformed services are an unending source of big numbers. Register to Vote has seen 4.3 million registrations. Your tax account has 1.5 million users. More than 70,000 drivers view their licence information online each month. 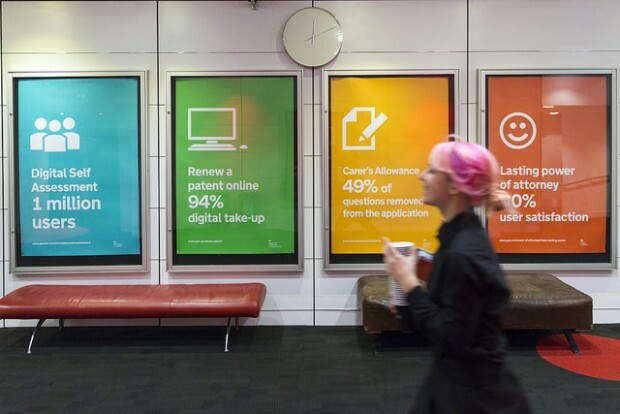 Renew a patent online has seen a digital take-up of 94%. But behind all those big numbers, these services are really helping people. They've made it much much easier to do important things like applying for Carer's Allowance, booking a visit to see someone in prison, or making a lasting power of attorney. These 20 services in public really are success stories – and the departments deserve the credit for them. With the exception of Register to Vote, which we developed at GDS, the exemplars were designed and built by digital teams in their respective departments. Our involvement with many of them has ended, but teams around the country will be improving them for a long time to come. As we've said before, GOV.UK isn't finished, and the same goes for the exemplars. As government, we will continue to iterate and improve our digital services. In the past, projects like these have been launched with a big bang, and glitches and problems weren't discovered until the service was live and started to fail. As we tested the Rural Payments service, for instance, we found issues that stopped us scaling the service up in time for this round of applications which had a fixed deadline. 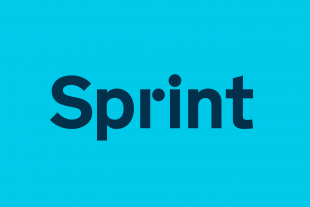 Building these services in agile, iterative ways allows us to do the right thing; improve services if they aren’t ready, before they have an impact on users. We’ll continue to work with the RPA and others to improve these exemplars over the year. The programme has ended but transformation goes farther and deeper than the exemplars. GDS is working with Home Office, Ministry of Justice, and Department for Transport to find ways to improve and expand more services, and we're working with departments to bring the benefits of digital technology to civil servants. We used the transformation page on GOV.UK to track the progress of the exemplars. Now the programme's ended we're archiving that. The GDS blog is now the place to keep track of the digital transformation of government. We're only just beginning. Are you going to talk about what happened with the Rural Payments Agency? The Verify system is totally useless. I have found that one of the certified companies does not work at all and therefore you need to use a different verifier. However for these you need both a passport and a photo driving licence which I do not have. This means that a vast number of taxpayers are now precluded from claiming marriage allowance since the telephone line option does not work either as nobody answers the phone. I would hope that the Prime Minister and Chancellor of the Exchequer recognise this as a very serious failure by their civil servants and those responsible need to be replaced by people who have the ability needed to implement a sensible system for claiming marriage allowance. As for Verify it is another Government computer system that should be binned until we have system that EVERYBODY can use. GOV.UK Verify is in beta, which means that it’s being constantly improved and developed based on testing and feedback from citizens using it to access a range of government services. At the moment you can only use GOV.UK Verify if you have a valid UK passport or photocard driving licence, but we’re working to add more ways for people to prove their identity if they don’t have a UK passport, driving licence or credit history. We’re aiming for 90% of people to be able to use GOV.UK Verify by April 2016 - you can read about our progress towards that target through the next year on the identity assurance blog - https://identityassurance.blog.gov.uk/. There will continue to be other ways for people to access services if we’re not able to verify their identity through GOV.UK Verify. which in reality are little more than half-baked implementations. GOV.UK Verify looks ideal but of course only seems to enable central government services. Are you looking at how this can be linked into local government services too or perhaps as a service we could plug in and use? So, just to clarify, a service can be 'Live' even though the service pages are marked Beta. For example the Visa Visits service (https://visas-immigration.service.gov.uk/applying-in-china), or Apprenticeships service (https://www.gov.uk/apply-apprenticeship). Instead 'Live' means a service which has passed a service standard assessment, i.e. a process gate, and is approved to go live. I can see that's an accurate interpretation of the manual but it does, if you don't mind me saying, seem a little confusing. From the user perspective the job isn't complete. There seem to be some missing service standard assessments, e.g. the apprenticeships one. Will those be going up shortly? We are unable to publish the outcome of the most recent Digital by Default Service Standard assessments as we are now in the pre-election period. However, those reports will be published as soon as this period comes to an end. Can I request that you reconsider? Thanks Carrie, I didn't hear from the Parliamentary Team so I've sent them an email. "Of the 25 services, 20 are publicly accessible. Fifteen of those are fully live and the rest are in beta "
Could you clarify what is meant by "fully live"? Our GOV.UK Verify user support team have now responded to you direct. I failed to submit feedback because my email address was not recognised as valid - but it is the same email address that I use to submit comments to this blog. 'GOV.UK Verify' registration via Experian proved to be impossible for me, even though I am intimate with the details of my Experian record. After several failed attempts to register with 'GOV.UK Verify', Experian agreed to delete my 'GOV.UK Verify' profile. Registration via the Post Office was simple and took less than 10 minutes. With respect to car tax, the 'GOV.UK Verify' is currently available to verify the status of company cars. Will it be widened to include personally-owned vehicles? Over the next year, GOV.UK Verify will become the default way to identify yourself when accessing services that need to know who you are.